Stem Tension Through belleville packed spring. Failure of Electricity Stay put. Electric Actuator : Series KN. Housing : Aluminum Silicon alloy heat treated. Gears : Steel hobbed, toughened gears. Electric Motor : Single phase, permanent split phase capacitor type class ‘F’ insulated motor. Electric Supply : 220/240,110,24 Volts 50/60 Hz, AC. 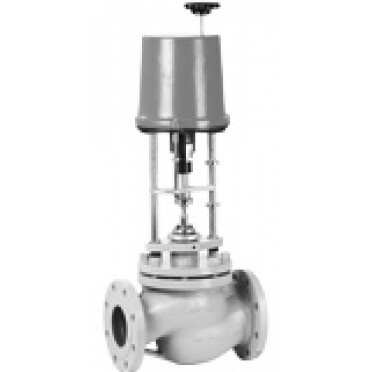 Switching cycles : Upto 240 cys per hour for small size valves and for large size valves refer to AVCON. (Switching cycles is meant for duration of less than 0.1 second). Actuator Yoke : Steel rods with position indicator assembly or Cast Carbon Steel casting. Control Suitability : Actuator is suitable for On-Off, Anticipatory, PI, PID Control system.